Original painting signed Carl Larsson 83. Oil painting on canvas attached on panel. The famous artist Carl Larsson lived 1853-1919. All facts about the famous Carl Larsson comes from the sources mentioned in this text. See also 2 in the conditions of sale under information to the lower left. 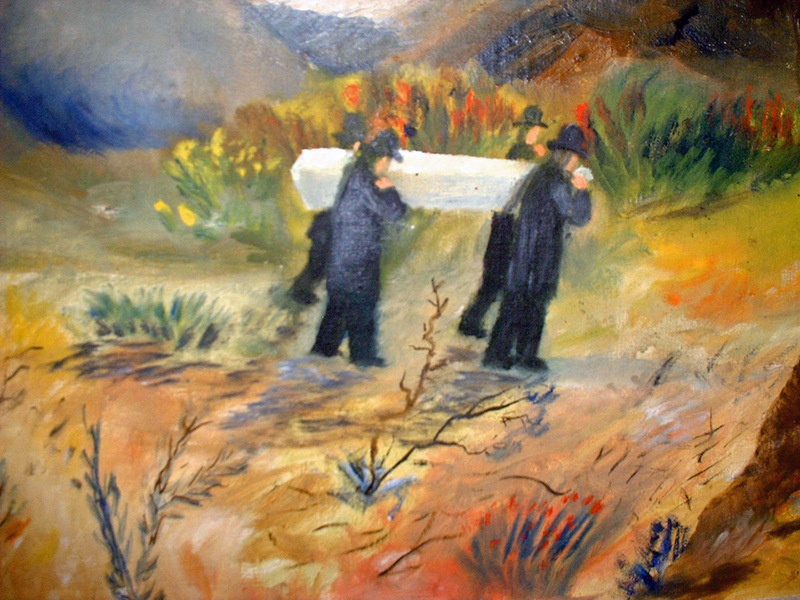 The name of the painting: funeral procession is inscribed in the lower part of the painting in Swedish language. Provenance: Bought in directly from a private person who lived in Stockholm at the time of purchase. It is difficult to get earlier former provenances back in time and that is a reason why it is often difficult to get guarantees. Gallery JT Ltd therefore always endeavour to make a closer examination regarding both technical and all available pertinent relevant information. Name: Funeral procession, or `En sista fard´ in Swedish language. Exclusive oil paintings are kept safely inside bank vault for safe keeping! Send in a mail to info@galleryjt.se or click on BUY NOW and Gallery JT Ltd will contact You at interest in buyiing this rare original painting. Serious bids are always evaluated and this goes for all of Gallery JT Ltds merchandise. Carl Larsson used the type of signing in small letters which can be seen in this oil painting from 1883 perhaps especially in the period of 1870 -1905. About the type of signature Carl Larsson written with small separate letters the very same type of signature can be seen in other famous early oil paintings by Carl Larsson. In one of the most famous books about Carl Larsson and his artwork named signed with brush and pencil, Norstedts publishing company there is a picture of an oil painting called portrait of an unknown youth 1876 on page 18 that has got the very same type of spell out signature: Carl Larsson written in small letters. Concerning later signatures in oil paintings by Carl Larsson the signature with capital letters CARL LARSSON is more common so it would appear from a survey of Carl Larssons later works. 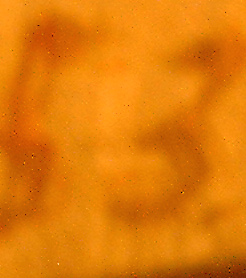 -See image down below and a close image on the year 83 enlarged, highly magnified to emphasize that the first number eight is written with a very fine line/small dry brush before the number three. The signing lies within the painting. In the category with the name The opponents Gallery JT Ltd presents three original paintings signed with the artist names of two of the founders of the very famous Swedish group of impressionists open air painters that called temselves the Opponents: Carl Larsson and Ernst Josephson. Carl Larssons first wife and the child she was carrying died in 1877 and Carl Larsson was very much depressed in 1882-1883 and he was timely occupied with the death motive, se dates below. In this unique painting by Carl Larsson there are animals portrayed besides the black raven that symbolizes death there are also a seal lying on the ledge to the left in the painting. Carl Larssons portrayal of animals differs from the famous animal portrait painter Bruno Liljefors in the way that in Carl Larssons paintings the animals are not the main theme in the paintings, they are more of a part of the image or the landscape itself. In Bruno Liljefors paintings the landscape behind the animals are often more simplified portrayed. About animals in Carl Larssons production including paintings and illustrations the animals birds, horses, lions, cows, calfs, goats and dogs can be mentioned. This painting is partly painted in very dry colours which the leader of the Swedish impressionist movement Ernst Josepshsson also is famous for having been used in his paintings from the very same period in the 1880ths. In this painting trees and tree formations very much alike trees that Carl Larsson painted during his time in France and at the same time very noticeable is the dark pine forest to the right that perhaps symbolizes the awaiting future unknown in which direction the travel appears to be going. Flowers can be seen on this journey and also a very much more lclearer ighter sky, read more below. 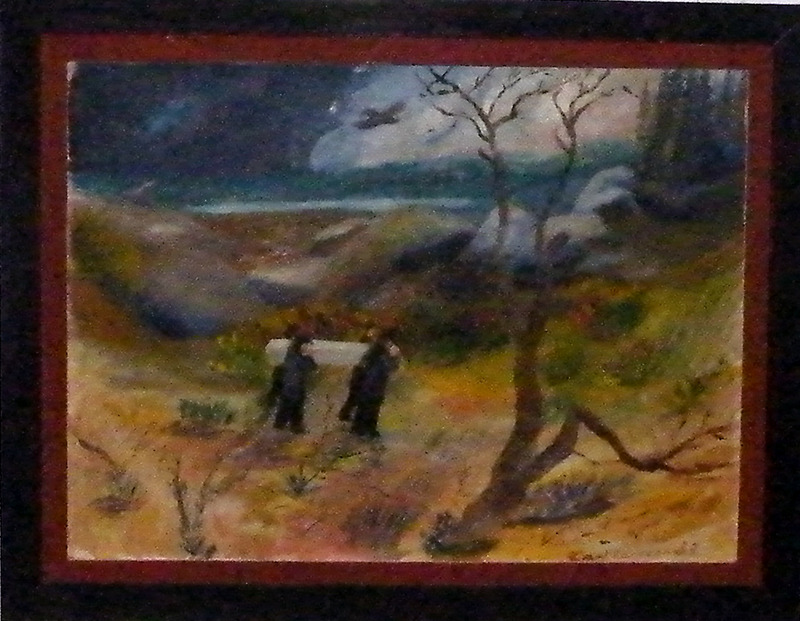 The colours in this painting are bright and strong and the bearers to the coffin walk filled with sorrow through a sea of flowers and more flowers can be seen at their presumed way up towards the darker edge of the wood to the right in the painting, maybe the forests in Sundborn, Dalecarlia where Carl Larsson and his new family later settled down in 1901. The sky seems to reflect Carl Larssons sense of mood for it is darker in one side and lighter in the other side and towards the edge of the wood Carl Larsson fades the sky into a much more lighter pink nuance which can be meaning that Carl Larsson himself felt that he in the year of 1883 would come to be haviing found the happiness and the light in his life together with his new wife Karin Bergoo in Sundborn that he later came to describe in five books 1905-1910. Carl Larsson(1853-1919 Carl Larsson Swedish painter. Carl Larsson comes from Sweden and is one of Swedens most renown painters. Many of Carl Larssons paintings are today on exhibition at the national museum of fine art in Sweden. Carl Larsson was a founder of the Swedish open air impressionists movement which called themself the Opponents. -See also informational text about this mini exhibition Carl Larsson! In this Carl Larsson exhibition which is now displayed online a description about Carl Larsson before Sundborn(?) is published with quotations from books in art history and from the period 1913-1948 and also quotations and informations from later literature about Carl Larssons life and work as a painter before his famous period in Sundborn really started. -For more information about earlier styles of Carl Larsson please see Carl Larsson information mini exhibition in this catalogue! FOR INFORMATION ABOUT CARL LARSSON BEFORE SUNDBORN WE FIRSTLY RECOMMEND TEXT PRESENTATIONS MADE BY THE SWEDISH NATIONAL MUSEUM OF FINE ART and some of this text can be read in the presentation to this Carl Larsson exhibition compiled by Gallery JT Ltd.
Oscar Reutersward writes in the book: Monet, publisher: Albert Bonniers in 1948 about Carl Larsson and Monet: Monet were committeeman and also in the jury for Petits sixth Exposition Internationale together with among others the Swedish artist Edelfelt and he also writes that Monet participated alongside with Carl Larsson, Pissaro, Rodin, Sisley, Renoir, Morisot, Kroyer, Heyerdahlen in the very same exhibition that openend in the spring of 1887. In the very same book about Claude Oscar Monet (1840-1926) it is also mentioned that one of the visitors to the exhition who were especially noticed were Vincent van Gogh who were reported to have been positevely surprised and filled with enthusiasm. Oscar Reutersward also says that this exhibition made Vincent van Gogh conscious of his own revolting against both his own traditional painting and furthermore his revolting against all of the traditional painting. 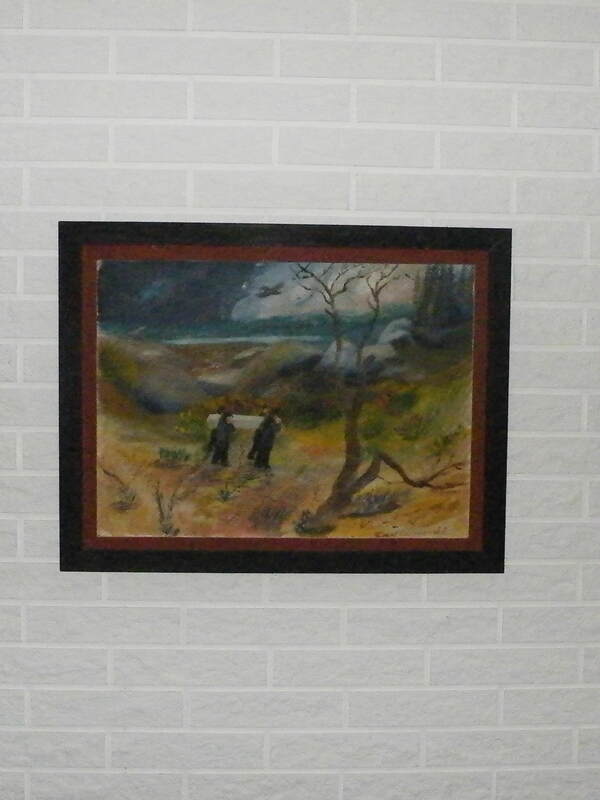 This Carl Larsson exhibition consist of two early unique paintings one oil on panel signed Carl Larsson 83 and one signed C. L. a water colour, no date. The information in this exhibition therefore lays stress on the early Carl Larsson and international successes and the exhibitons name is therefore: Carl Larsson(?) before Sundborn. Other information referred to in this text is common known information about Carl Larsson. ONE OF SWEDENS FOREMOST PAINTERS OF THE 19TH AND 20TH CENTURY(? ): CARL LARSSON(?) Death motive: -Read more information below about the period in Carl Larssons life when he was very depressed. Since Carl Larsson is mostly renown for his photorealistic paintings from Sundborn and most descriptions therefore are deriving from this period only prospective buyers should pay attention to that Carl Larsson who was born in Stockholm had a partly different and to some degree totally different style of painting before he definately moved to Sundborn in 1901 and also that Carl Larsson had several both habitations and atteliers in Stockholm, Falun, Gothenburg (Sweden), Grez (France). After the death of Carl Larssons first wife in 1877 Carl Larsson was totally occupied with motives related to death. For several years he put a lot of effort both financially and energy on this theme. This is what Brita Knyphausen writes about this Carl Larssons death period in his painting when he often put efforts and finances on the death motive: Quote from the Swedish artist lexicon, (translated from Swedish), publishers name: Allhems: Quote: After the death of Vilhelmina Holmgren L. had put his efforts on the death motive. He had persistently searched for the peculiar and striking in his paintings in which he had put all his strength and financially resources. Some of these paintings were never carried through, other were sent to the Saloon, (world exhibition in fine art in Paris) where they irrevocably were refused. Even the titles are enlightening: Suicide departures, Amor Mercurius, The happy poesys poet sings his last song to the setting sun, Chez le peintre du roi, or the symbolic: Résignation e`cest la derniére religion which is a composition with a lot of different macabre things among them a scull. End of quote. According to quote from the book Carl Larsson/National museum of fine arts Carl Larssons best period maybe were in the 1880ths: quote: The Fürstenberg triptyche painted in 1888-89 in Paris is on the contrary maybe from his best period. end of quote. Carl Larsson is descibed to have been suffering from severe depression in 1882-1883 before his second marriage with Karin in Sundborn! Carl Larsson had a totally different style and tecnique in his painting both in consideration to water colours and in oil paintings before his photo realistic period in Sundborn/Dalecarlia started in the 1880ths. Carl Larsson was a prominent and one of the leading artists in the separatist group of painters from Sweden called the opponents. -Read more about this famous group of painters in Sweden with the name the opponents below! -See also the auction category and information category. Oil on canvas attached on panel signed Carl Larsson-83. -See sign lower right. The sign lies within the painting. About panel as a medium: There are several paintings by Carl Larsson available for viewing that are painted on panel from the same period of time, for instance from the year 1877 and also from 1895. About panel as a medium for oil painting: Panel is older than for example canvas that dutch painters started to use in the 15th. century. 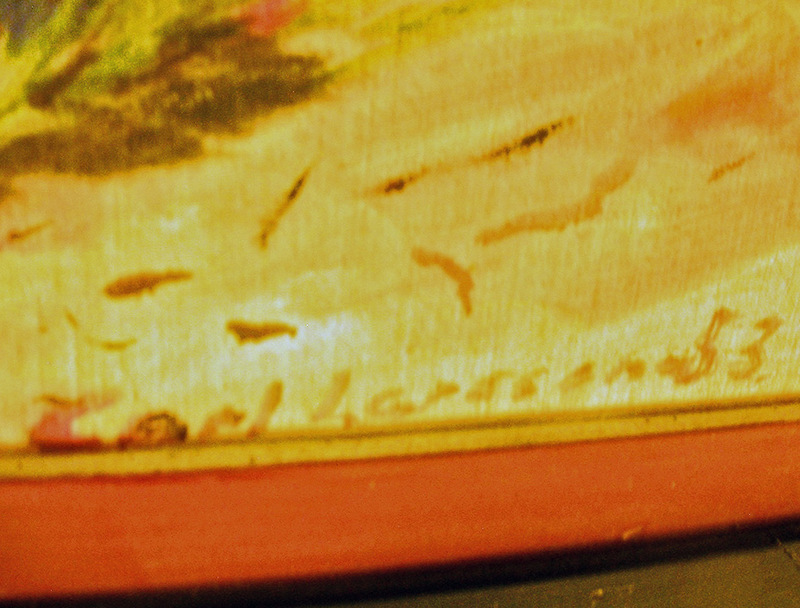 The name is inscribed in the lower part of the painting. 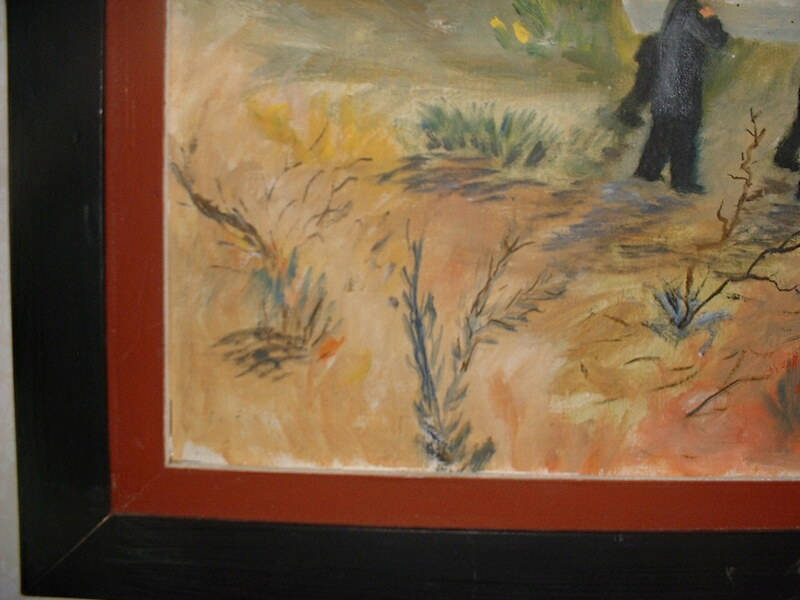 See images on the artists sign and also image on the year 83, the signing with year clearly lies within the painting. As said before in thsi text the year is enlarged in one photography to show that the number eight is written with a brush in a thin line before the number three. The well known painter Gustaf Cederstrom painted Karl XII funeral procession, (king of Sweden.) in 1878 which today hangs in the National museum of fine art and both Carl Larsson and Gustaf Cederstrom received the first price in a competition set by the national museum of fine arts, see year 1889 below! Carl Larsson may have been inspired by Cederstrom to paint this motive, Carl Larsson also certainly had personal reasons to paint this painting for his first wife and children from both of his marriages died around the same time in which this painting was painted,(1883)- see dates below! 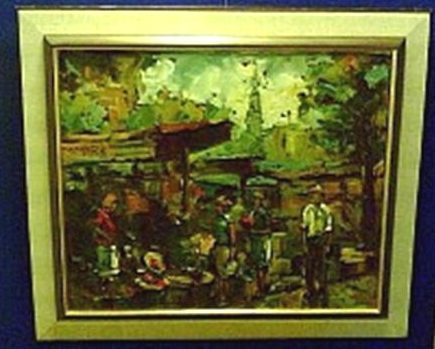 -Please observerve the buyer of the CL water colour from Grez/Barbizon automatically receive an option to buy this oil painting. Carl Larssons choice(?) of gloomy motive the funeral procession might be straightly associated to the death of someone of his children or the death of his first wife, se dates below! There are also historical events that took place in Sweden at this time that effected Carl Larssons painting from this period. A huge influence on many artists in Sweden in the end of the 19th century was a painting painted by Gustaf Cederstrom (1878) called the funeral procession of KARL XII, (king of Sweden). This famous painting can be viewed in The national gallery of fine art in Stockholm. Both Carl Larsson and Frans Hedberg participated in the same magazine 1887 called The calender of the Swedish people. Carl Larsson in his own words, and Signed with brush and pencil by Ulwa Neergaard. Other given information about Carl Larsson is common known facts. 1873 The author Frans Hedberg publish a book called The funeral procession, den sista farden. 1877 The first wife of Carl Larsson dies in child birth, (Vilhelmina Holmgren). And the child also dies shortly here after. According to some information Carl Larsson had two sons in this first marriage. 1877 It is described that Carl Larsson was depressed when he went to Paris he suffered from both suicidal thoughts and self starvation. 1878 Karl XII funeral procession 1878 painted by Gustaf Cederstrom maybe gave Carl Larsson the inspiration to paint this painting. 1879 The funeral procession by Gustaf Cederstrom was published in The magazine The calender of the Swedish people, Carl Larsson illustrated this calender several times. 1881 Carl Larsson first met his second wife to be: Karin Bergoo. 1883 01 24 quote: I am sitting in a little shady café in Nemours; I just got hold of a Figaro and I am reading surprisingly that Gustave Doré is dead. end of quote. Quote: Sorry for my delay, but I am in so very much disturbance,trouble and work that when in the few times I would be able to write I am so tired and exhausted that I do not even have the strength to read a paper. I have now finished my work and set two of mine water colours and one oil painting to the guilder who then will passs them on to the saloon, (comment: world exhibition in Paris.). As you can see I do not give in easily. My water colours are very good according to what people say. My oil painting is not so good. How strange, my destiny seams to be to become a watercolourist! The oil colour is to troublesome and heavy for my shifty mood. 1883 Carl Larsson and Karin Bergoo got married and Karl Noardstrom brought him to the little village Grez sur Loing in France and both these happenings made a turn around in Carl Larssons private and artistic life according to scriptures. 1883 Carl Larsson writes to Georg Nordenswan: The scales fell from my eyes and the spell is broken as I saw nature for the very first time. I throw away the bizarres in the bin and my strange idea compositions in the lake, and let them lie there. Quote from Carl Larsson in his own words. 1885 Already at the first exhibition with the Opponents in 1885 Carl Larsson criticized The great epoque painting Man in the stream and conflicts among the two leaders in the group seems to have been smouldering because of this schism. 1891 Carl Larsson definately leaves the Swedish national association of artists. 1877 First wife Vilhelmina Holmgren dies in childbirth, the child also dies shortly here after. 1894 The son Mats dies two months old. 1905 The son Ulf dies 18 years old. The motive Funeral procession became relatively usual in the times of Carl Larsson, the motive has been painted by other well known Swedish artists like for example Bengt Nordenberg. In this painting signed Carl Larsson a black raven is noticeable and Ernst Josephson the founder of the opponents is another artist who used mystic symbolism in the form of birds in his paintings during the 1880ths. -See also the painting by Ernst Josephson up for sale now in the category: The opponents! Send a mail info@galleryjt.se or press the buy now button, or order@galleryjt.se and you will be contacted by Gallery JT Ltd. The bidding process will be finished one month after the first bid has been noted. A Considerably bid may end the auction at once. PLEASE OBSERVE: GALLERY JT Ltd NOW SELL THREE PAINTINGS SIGNED WITH NAMES FROM THE GROUP OF PAINTERS CALLED THE OPPONENTS!